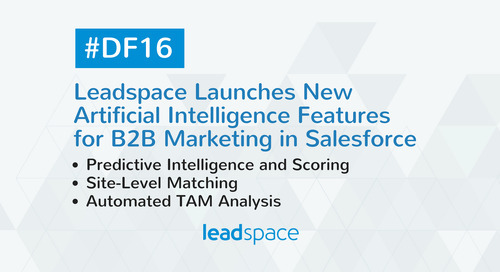 SAN FRANCISCO, CA, Jan 10 2017 -- Leading predictive analytics and data management company Leadspace saw strong momentum for its services in 2016. 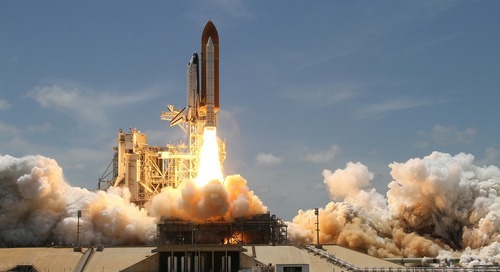 Among other record achievements, Leadspace more than doubled its customer growth among mid-market and enterprise businesses - among them several leading brand names. 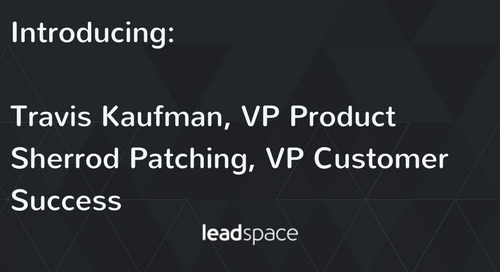 Leadspace’s strong performance is also reflected in new additions to its roster of high-profile strategic partners, as well as the enlistment of an impressive array of industry experts into the Leadspace leadership team. 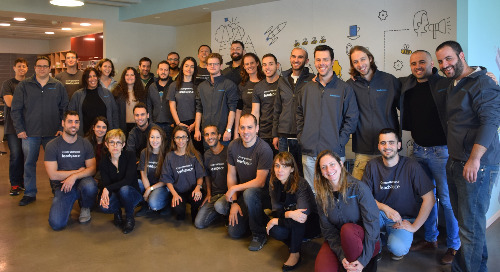 2016 saw a high profile lineup of new major Mid-Market and Enterprise companies join Leadspace’s rapidly growing line of customers - which already included seven out of 10 of the world’s leading Enterprise software companies. 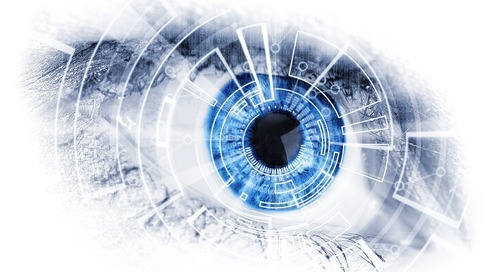 Among the dozens of new major Leadspace customers in 2016 were tech leaders Intel and Dell Software; IT giant Riverbed Technology; major CMS cloud platform Acquia; and Docusign, one of America’s leading Digital Transaction Management companies. 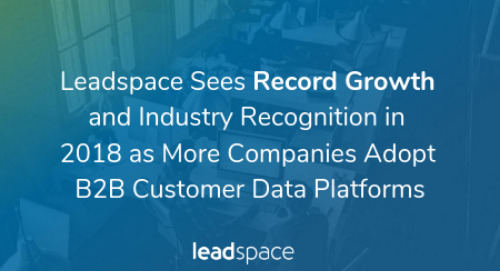 Leadspace’s rapid growth as an industry leader was recognized by customers and industry experts alike in 2016. 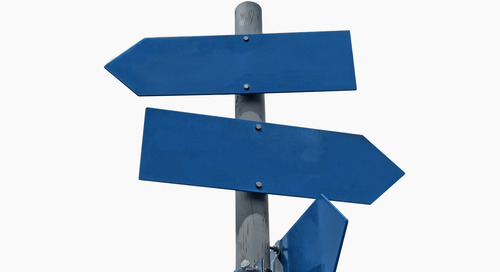 ISO 22301 Business Continuity Management certification (BCM). 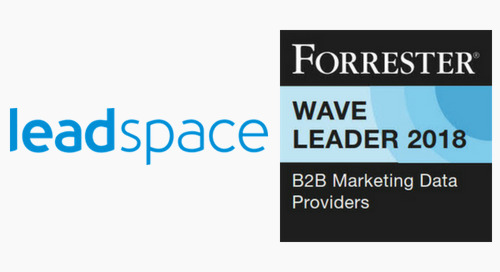 April 2016 also saw Gartner name Leadspace as a Cool Vendor for 2016 in the Tech Go-to-Market category. 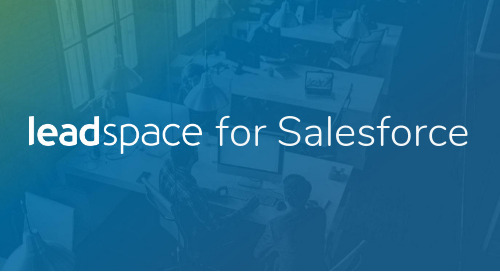 Leadspace was further singled out by Owler as one of San Francisco’s top trending companies in their ecosystem (which includes more than 20,000 companies in total). 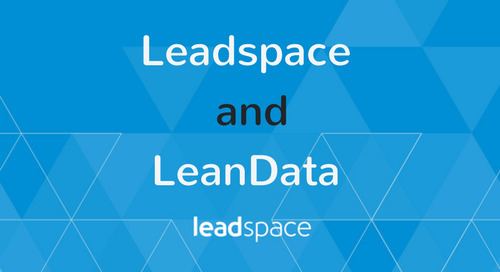 Equally notable are the successes Leadspace has helped drive for its many customers. 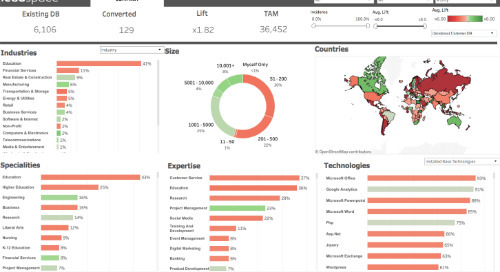 In April, Leadspace customer Microsoft was announced as the winner of the “Large Company ROI Award” by leading global B2B analyst firm Sirius Decisions, as part of its annual Return on Integration (ROI) Awards series. Microsoft was granted the award for strides the technology giant has made in the field of demand generation - in part due to its work with Leadspace. 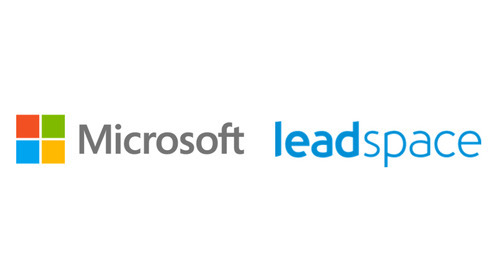 In accepting their award, Microsoft acknowledged Leadspace’s vital role. At November’s Sirius Decision Tech Exchange, Hewlett Packard Enterprise (HPE) - another Leadspace customer - took the stage together with Leadspace, to talk about the groundbreaking work they are doing in the field of digital demand generation. Concurrent to Leadspace’s rapid growth, in 2016 the company boosted its leadership team with a number of highly experienced B2B professionals. 2016 started with the enlistment of Travis Kaufman as Vice President of Product Management and Sherrod Patching as Vice President of Customer Success. Travis brings with him a wealth of experience and expertise in the SaaS and wider martech industry. 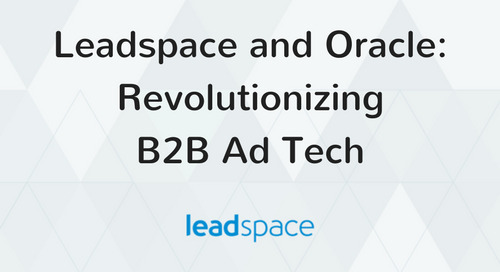 He joined Leadspace from leading marketing automation provider Marketo, where he shaped the direction of B2B marketing technology. Sherrod is a seasoned customer success leader. 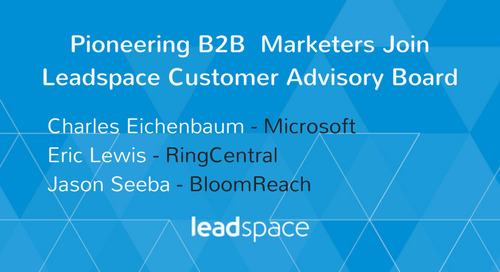 Sherrod joined Leadspace from enterprise content performance marketing experts BrightEdge Technologies, where she led the enterprise customer success team, and played a critical role in shaping how the CS team engage with customers to drive positive business outcomes and ROI. 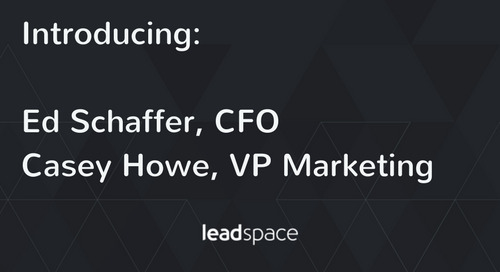 Later in the year, Ed Schaffer and Casey Howe joined Leadspace’s San Francisco office as Chief Financial Officer and Vice President of Sales respectively, while Michal Finkelstein joined Leadspace’s Israel office as General Manager. Ed brings a formidable 25 years’ experience in financial leadership at high-growth SaaS companies, including Rimini Street, Monster Worldwide, Intuit and oDesk. Casey, who previously worked as Vice President of North American Sales for Experian in the data quality market, brings an impressive 10 years' experience building and scaling sales teams and driving revenue growth. Michal brings her own high level of expertise and wide-ranging experience across a variety of tech companies and leadership positions in Israel and the US, among them serving as head of Thomson Reuters’ Israel branch. 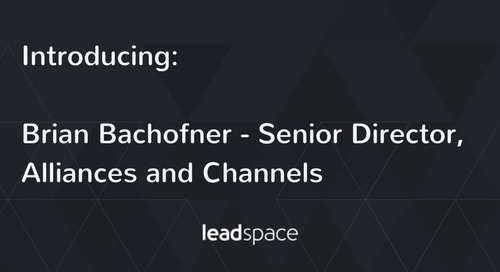 Towards the end of 2016, Leadspace made yet another high-level addition, this time to its marketing team, as June Bower was hired to lead the company’s marketing efforts. A marketing leader with decades of experience, June has held senior marketing leadership positions in a number of startups, as well as in large tech companies including as Webex, Adobe, and Apple. To meet growing demand, Leadspace also significantly bolstered its sales team with seven additional seasoned sales professionals in 2016. Leadspace’s strategic partnerships in 2016 reflect its role as a highly effective facilitator of account-based marketing (ABM), against the backdrop of continued interest in ABM within the B2B space. 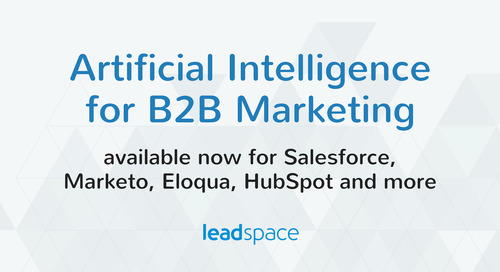 Among Leadspace’s most significant partnerships is its burgeoning strategic partnership with marketing automation giant Marketo. In September 2016, the Leadspace-Marketo partnership was significantly reinforced, with the launch of the much-awaited Marketo ABM platform. Marketo ABM streamlines the demand gen process, by adding natively integrated ABM functions into businesses’ marketing automation systems. 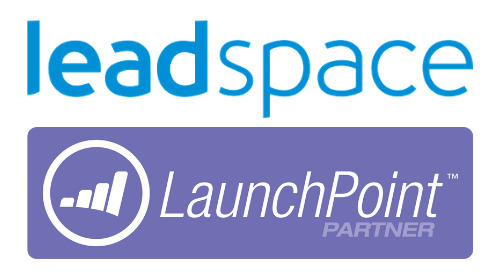 Leadspace is a key Marketo ABM partner, providing essential lead-to-account matching capabilities that enable companies to identify key individuals within a specific company. 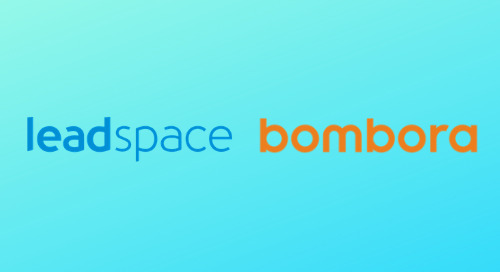 Leadspace also continued its work with more than 40 data partners - including D&B, Bombora and HGData - to ensure continued, comprehensive enrichment capabilities for Leadspace’s Virtual Data Management Platform. In 2016, a record 7,588,328 enrichments were conducted through Leadspace customers' marketing automation systems alone. 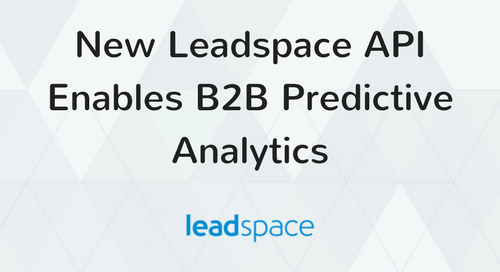 Another “game-changing” ABM-related partnership was forged with LeanData, harnessing Leadspace’s predictive analytics, enrichment and lead-to-account matching capabilities for more effective ABM engagement and higher conversion rates.